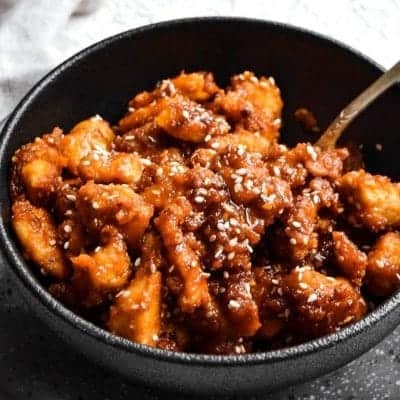 Marinated Orange Chicken Thighs Recipe - Easy Chicken Recipes VIDEO! 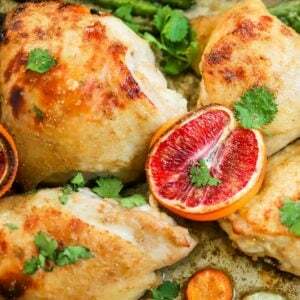 This Blood Orange Chicken Thighs Recipe is easy, flavorful, and delicious! 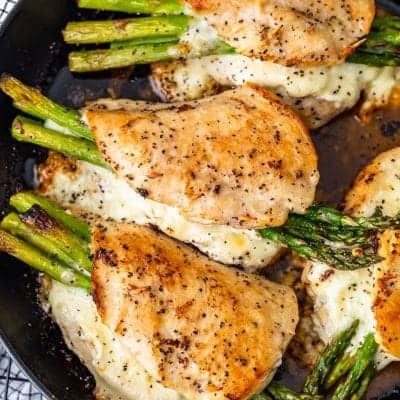 Everyone loves an easy sheet pan meal! These Sheet Pan Orange Honey Chicken Thighs are the perfect weeknight dinner! Sheet Pan Chicken Thighs for the win. 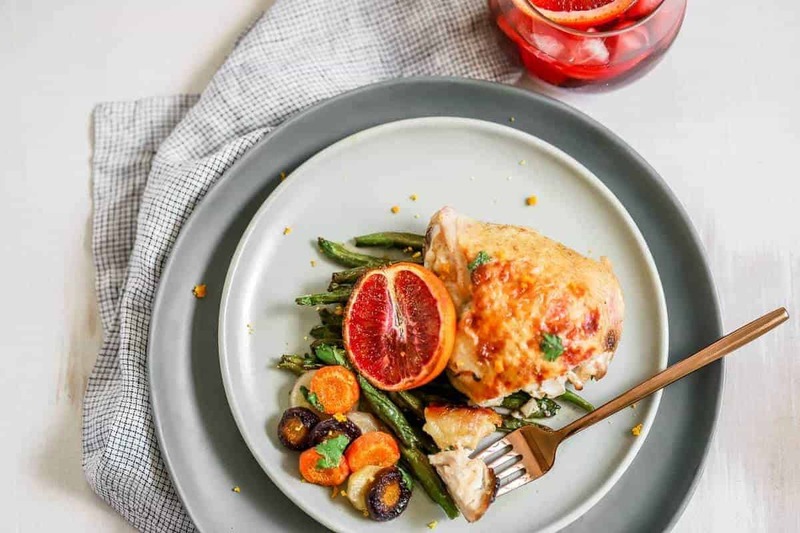 Marinated Blood Orange Honey Chicken Thighs are one of our favorite week night easy chicken recipes. Doesn’t winter citrus season fill your heart with just a little bit of summer?! Oranges and grapefruits, lemons and limes, their colors and flavors brighten up any cold and dreary winter day! I am especially in love with blood and cara cara oranges, their colors and flavors are so beautiful and delicious! If you haven’t tried them, don’t worry! If you love oranges, you’ll love cara cara oranges. 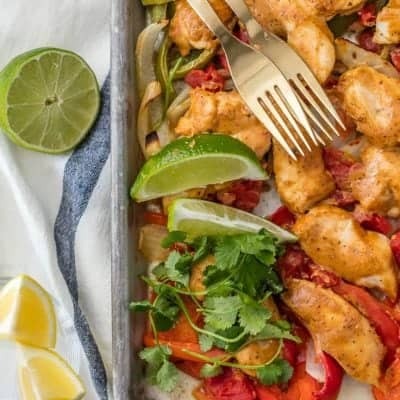 This Sheet Pan Chicken Thighs Recipe can’t be beat! As much as I love to just bite right in to a fresh, juicy orange slice, I also love to bake and cook with them! 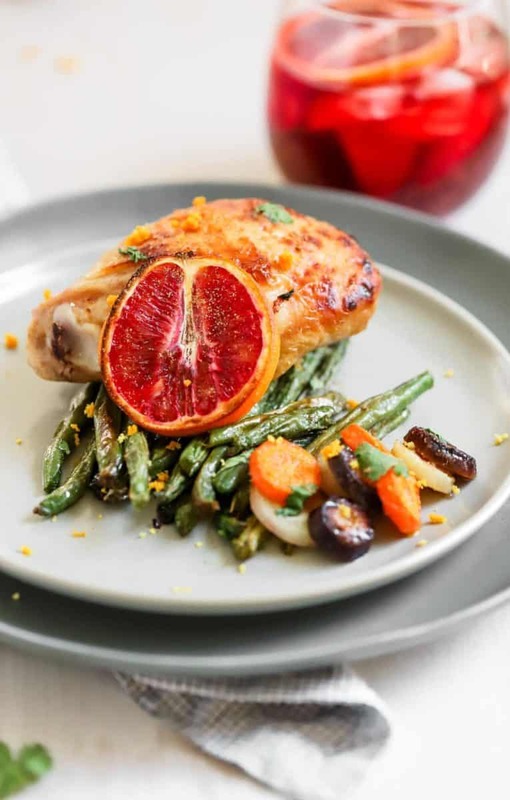 Orange works really well with savory dishes, especially in marinades for meat. 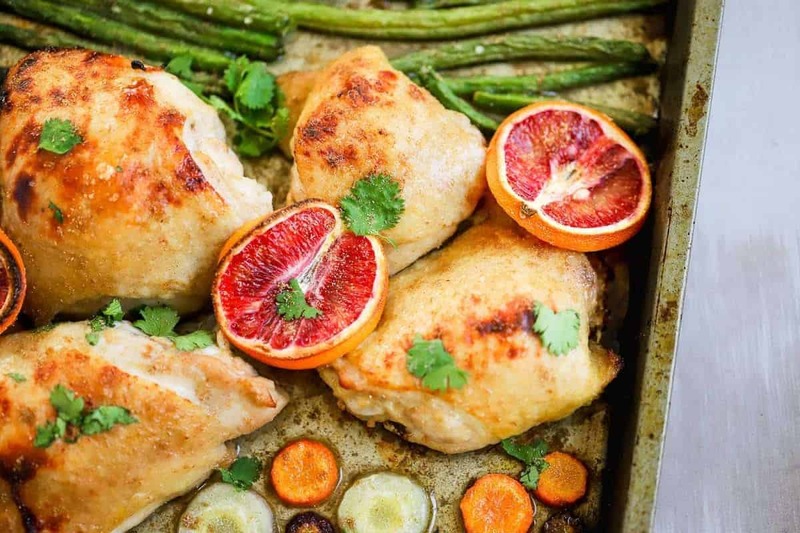 For these Sheet Pan Orange Chicken Thighs we are using the juice of blood and cara cara oranges to make a sweet and zesty marinade! And how great are sheet pan meals?! Especially on a weeknight, after a long day, the thought of getting my whole kitchen dirty with lots of dishes is exhausting. That is when sheet pan meals step in to save the day! You will need to marinate the chicken thighs the day before, but that will seriously take less than 5 minutes! Put the chicken thighs in a gallon-sized plastic bag, whisk together the marinade and pour over the chicken. 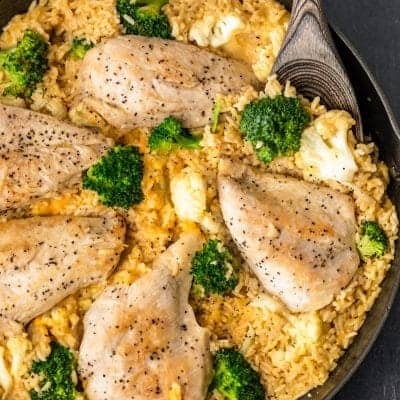 The chicken thighs are best if marinated for about 24 hours, so as you sleep and when you are at work they are getting more and more delicious preparing for your easy dinner! Once you get home there is no fuss! You go from ingredients, to sheet pan, to dinner table in just 30 minutes! To make your life even easier, line your baking sheet with aluminum foil, it makes clean-up a breeze! Then toss the green beans and carrots in olive oil and salt and spread onto the baking sheet. Next, place the marinated chicken thighs amongst the vegetables and top with a few slices of orange. Now you are ready to bake your chicken thighs! Bake for 25 minutes and then finish it off with 1-2 minutes under the broiler to get everything a little crispy! Cool for a few minutes and then serve the chicken thighs with the oven roasted green beans and carrots. Garnish with a little orange zest and some fresh cilantro for an extra flavor kick! And there you have it! 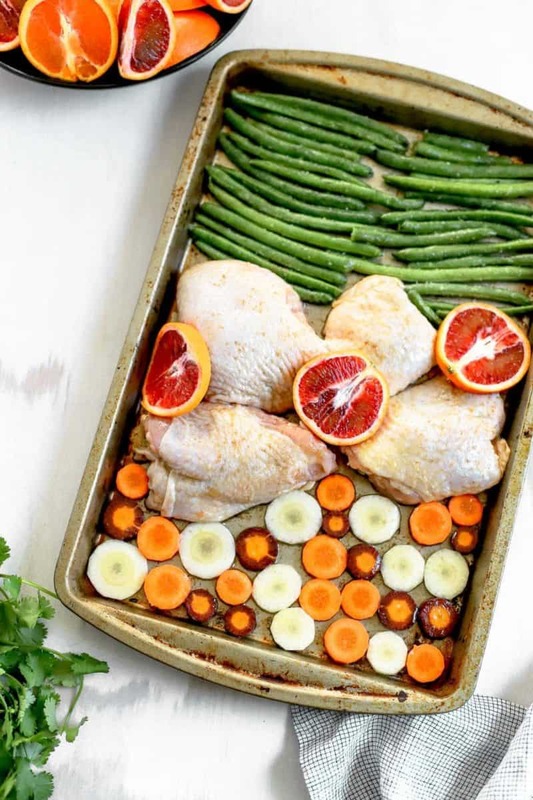 An easy, delicious, healthy, crowd-pleasing sheet pan dinner – can’t beat that! NOTE: If you can't find blood orange or cara cara orange, you can use regular fresh squeezed orange juice. 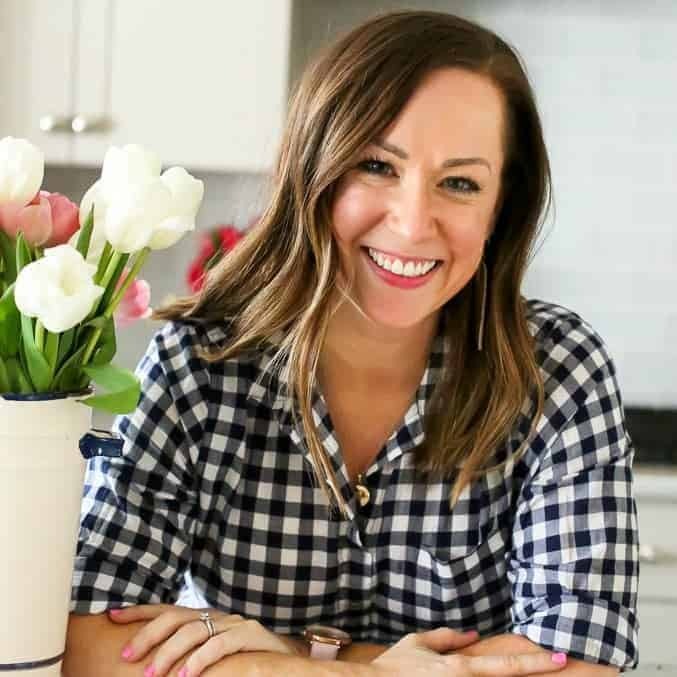 This recipe was written and photographed by Laura Nockett from Sprinkles and Sea Salt. Be sure to check out her beautiful site. Thanks Laura! 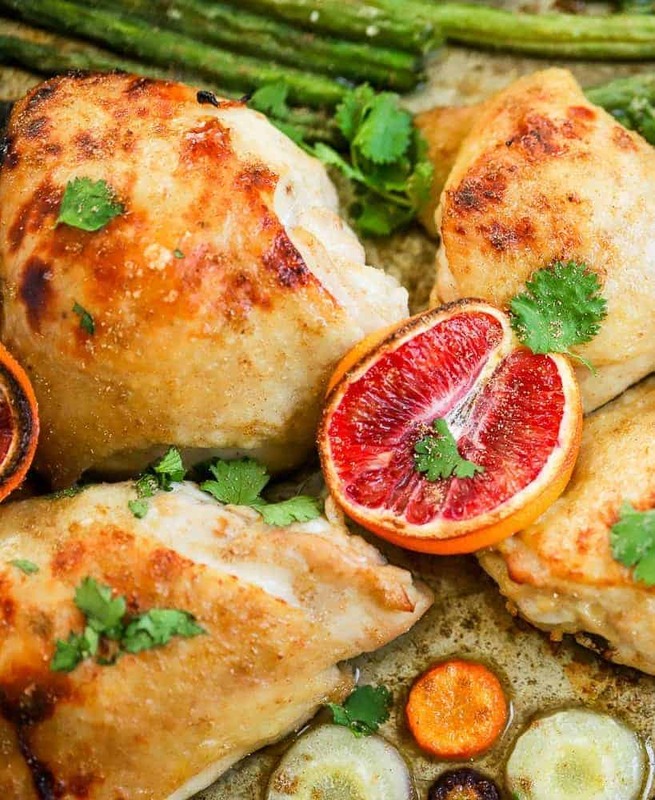 These look so flavorful, I love blood orange! Thanks! Such a bright flavor. The best! I loved it!! It was so flavorful and delicious! What a great flavor! Can’t wait to try it. This looks so delicious and healthy and the color combination is perfect. I can’t wait to try it. I must have done something wrong. Wasnt a hit. Oh darn, I’m so sorry to hear that! Both are moist flavorful additions for chicken and pork. I love that idea of using the same combo on pork chops! YUM! 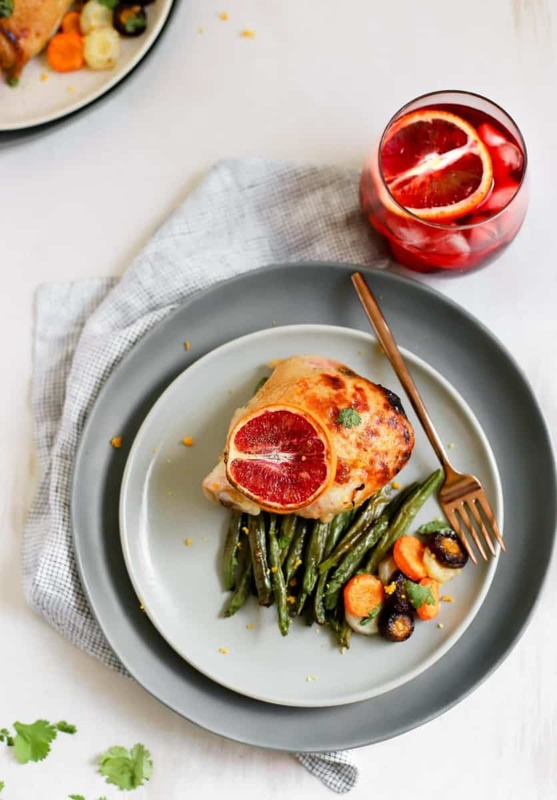 I love blood oranges, but never thought to bake savory dishes with them. 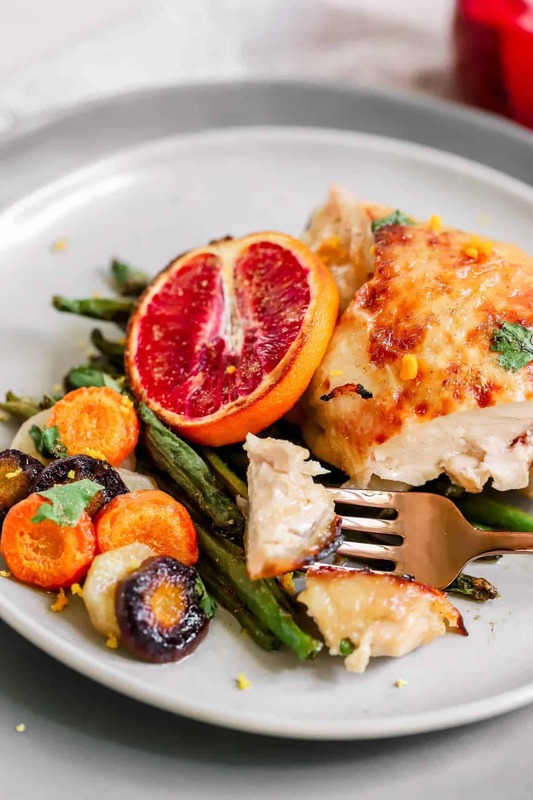 Thank you for the gorgeous pictures and tips on using them with chicken sheet pan dinners! I am making this tonight! can’t wait to see how it is. I did bone out Chicken thighs though. They were cheaper for more.